Does your bathroom counter and sink look like mine? If it does, you have toothbrushes leaking wet on the counter, dried on toothpaste and drips all the way to the sink. I have to throughly wipe my son’s bathroom counter twice a day. He loves using toothbrushes with characters and colors on them, so that is a must but his just lay on the counter. I honestly don’t like toothbrush holders and cups because they are so dirty and hold filth and bacteria galore! I would rather keep the toothbrush in the open to dry completely and I have to battle the mess it leaves. Not anymore! 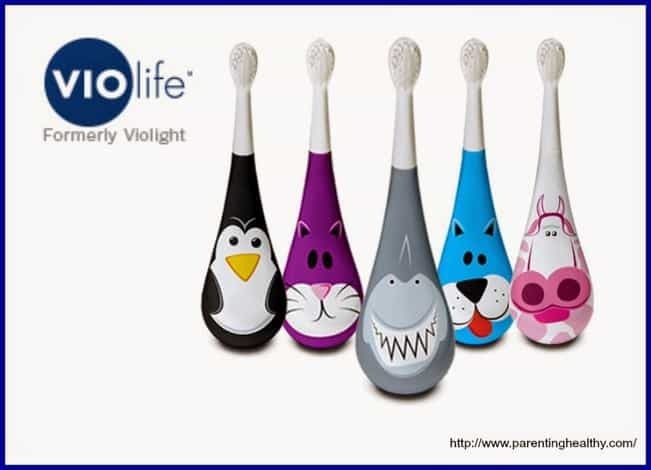 Violife has the Rockee Toothbrush! 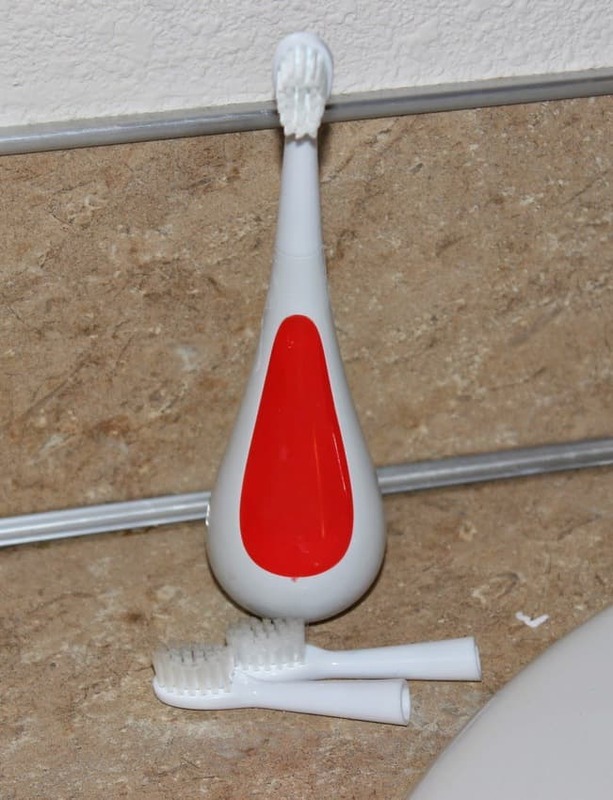 This toothbrush lessens the mess as it always stays upright! The Rockee Toothbrush comes in fun colors and characters. You get replacement heads so you do not have to replace the entire toothbrush! The 2-pack brush heads are under $7. That means you replace a head for about the same price for the standard toothbrush! Your original purchase of the Rockee toothbrush comes with 2 extra brush heads for a total of 3 heads and the toothbrush for under $15 to start! Very comparable to a standard toothbrush (if you had to buy 3)! The Rockee Toothbrush always stays upright. It can spin, rock and wobble and never tips over! Give it a push and it stands back up! 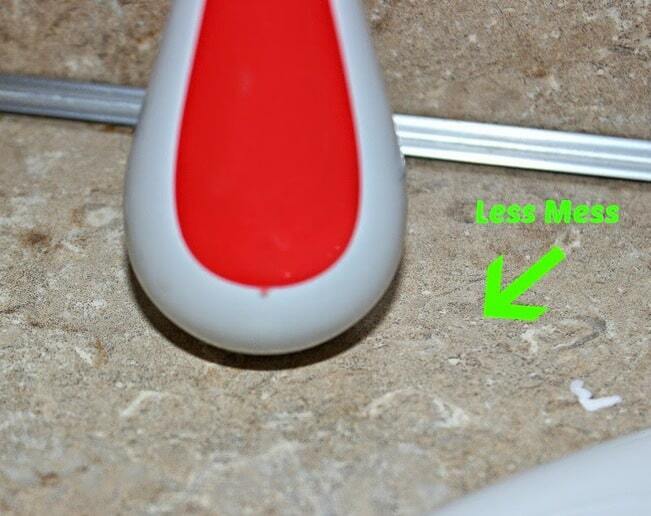 No more laying the wet and recently used toothbrush on the countertop. Also, no more germ-infested toothbrush holders on your sink! There’s more! 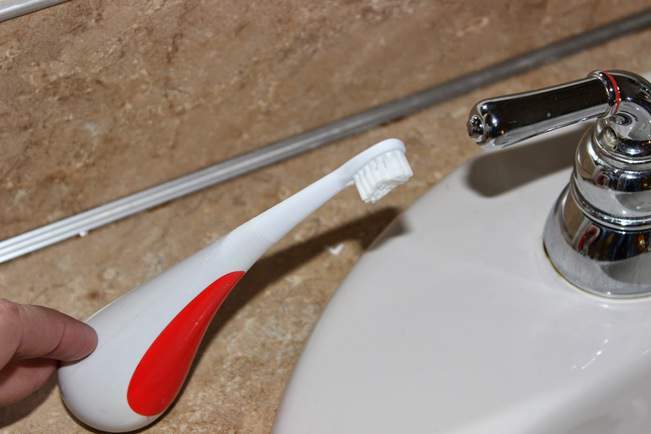 The Rockee Toothbrush is ergonomically designed in the handle for a comfortable fit in those small hands. Until a child is close to 10, it is recommended that an adult still brushes their teeth. This is because those little hands are not strong enough to grip the toothbrush in the way that applies the pressure needed for proper cleaning. The Rockee still does not allow for unsupervised brushing, but the ergonomics of the handle really helps them practice that grip they need for that proper brushing once they are independent enough! There is no reason to have those nasty counter surfaces anymore. The price is right and the designs are ones the kids will love! Put a Rockee in their stocking! They will love it and so will your countertops!